A mint mark helps to identify the facility at which a coin was made. In the U.S. there have been eight official mints. The main facility located in Philadelphia, Pennsylvania, has been the only one in continuous operation since 1793. Four branch mints at Charlotte, North Carolina (C), Dahlonega, Georgia (D), New Orleans, Louisiana (O), and Carson City, Nevada (CC) were in operation no later than 1909, while the only facilities outside Philadelphia in operation today are those in Denver (D), San Francisco (S), and West Point (W). None of the coins minted in Philadelphia bore the "P" mark until 1942 when it first appeared on the 35%-silver-composition nickel, and it has not appeared consistently since. In fact, with a very few exceptions - in 1965, 1966, and 1967 no coins from any facilities bore mint marks - it is generally (there are exceptions! - see below) safe to attribute an unmarked coin to the Philly mint. So, why is this important? Because a particular mint mark (or lack of one where it should exist) along with a date can be a good indicator of value. The 1982 Roosevelt dime is a prime example. In that year, all dimes were supposed to bear a mint mark, but an unknown number were issued by Philadelphia without the "P". Today, a 1982-P dime in circulated condition is worth - well - a dime, but the same piece WITHOUT the mint mark sells for about $20.00 or more. If uncirculated, it can fetch $200 to $300+! Since 1968 the San Francisco mint has been tasked with producing proof sets for collectors. (Proof coins are specially handled to produce extra-fine detailing and mirror-like "fields", the background surfaces on which the designs sit.) In 1968, 1970, and 1983 it was discovered that the dimes in some of those sets lacked the "S" mint mark. Today, those sets can fetch from several hundred to several thousand dollars at auction. And a super-rare no-"S" proof dime found in some 1975 sets sold at auction in 2011 for an astounding $350,000! A mint mark can also indicate relative rarity. Mintages for the Lincoln "Wheat Penny" (1909-1958) were generally much higher in Denver and Philadelphia than in San Francisco, so values for "S" dates, especially pre-World War II, are somewhat higher in all grades. Since 1975, the only coins bearing the San Francisco mint mark have been the 1979/80/81 Susan B. Anthony dollars in general circulation and collector/proof sets, so if you find a coin in circulation with an "S", it probably came from someone's collection. Ditto for any coins with the West Point "W," as that mint has only issued gold coins, silver Eagles, and other collector and commemorative pieces with its mark. Finally, remember that silver-alloy nickel mentioned earlier? Produced from 1942 through 1945, it has a silver-bullion value of about $1.00 at today's prices, and is easy to distinguish from other nickels as the mint mark is prominently placed above the dome of Jefferson's Monticello on the reverse of the coin. 1942-1945 Jefferson (War) Nickel Silver Melt Value - Coinflation - Keep track of bullion values for nickels (and other coins) here. 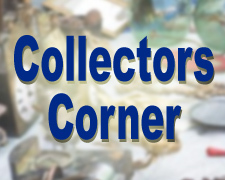 Coin Values Discovery - Nice intro to the hobby by a long-time collector. List of the Top 100 Modern Coins - List compiled by grading service PCGS. Proof 1975 No S dime reaches rarified levels - Coin World - The facts behind the auction. Understanding Mint Marks on Coins - Coin Collecting Guide for Beginners - This page includes a helpful chart identifying the different mints, their marks, and their years of operation. The United States Mint - About the Mint - Official site includes discussion about mint marks.